Syndicate Member's Game Gets Steam Greenlight! In March of 2015, Syndicate member Nexus had two of his games receive the Greenlight on Steam. 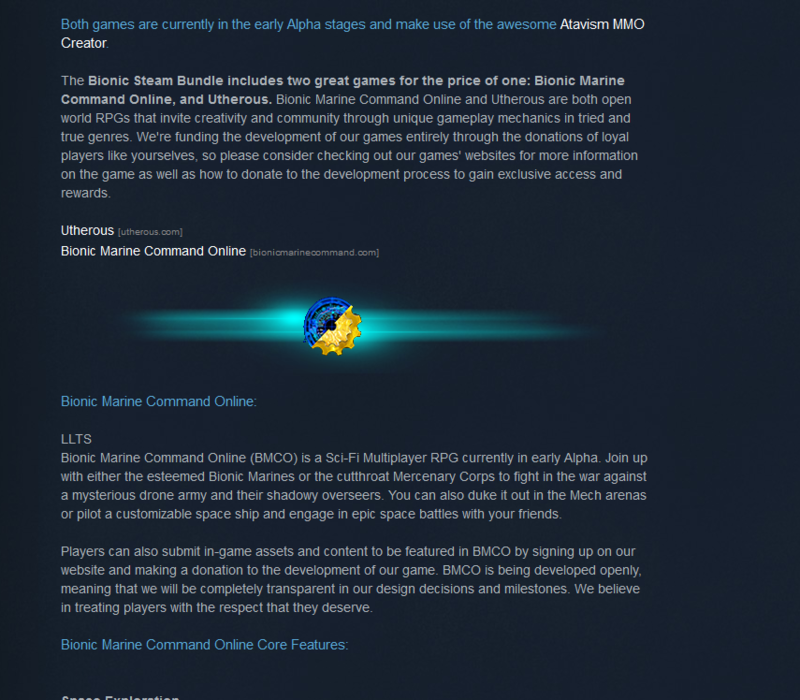 They are: Bionic Marine Command (a Sci-Fi multiplayer RPG) and Utheros (a fantasy RPG). As the screenshot below, from the Steam Website, shows there is a little "LLTS" shout out mixed into the Steam Greenlight page.